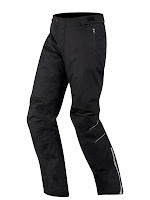 The brand new Alpinestars Koln Jacket and Alpinestars Bregenz Pants are an all-season all-weather long-distance touring and commuting choice designed for the upright or 3/4 riding position. The Alpinestars Koln uses the brand new Alpinestars 4-in-1 system, which uses multiple liners and affords the rider a ton of versatility in terms of waterproofing, insulation and airflow. Loaded with adjustability, storage space, and everything you'd expect from a true all-season touring outfit, the Alpinestars Koln and Bregenz will get you through any weather conditions or temperature range in which you choose to ride. Built with a soft polyamide shell that features 600D polyester in impact and abrasion areas, the Alpinestars Koln Drystar also has CE rated Bio Armor in the shoulders and elbows with foam padding in the chest and back that can be upgraded to beefier protectors. 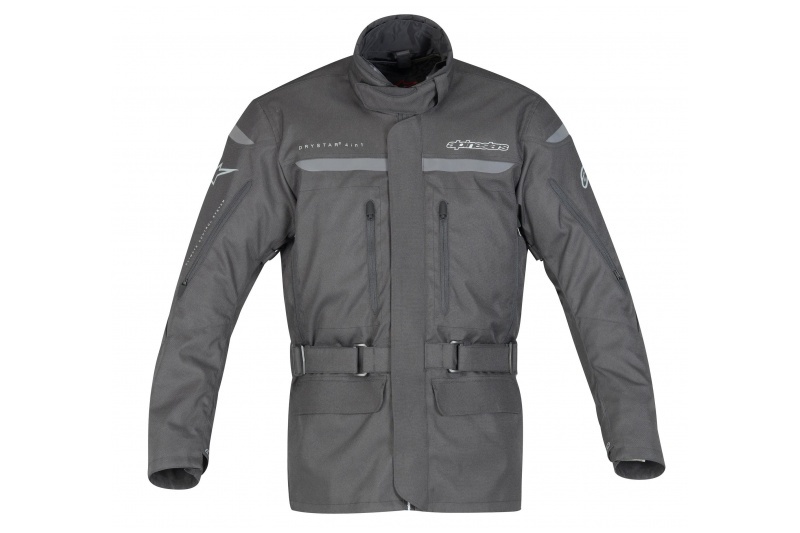 The 4-in-1 system refers to the four possible configurations of this jacket thanks to the removable Drystar waterproof breathable membrane and removable insulated full-sleeve thermal liner. Adjustability can be found via the waist belt, and at the biecep, forearm, wrist and collar. Two large cargo storage pockets are at the front of the jacket and there are zippered intake vents at the arms and chest that feed a large exhaust vent at the top of the back. Similar to the Koln, the Alpinestars Bregenz feature a brushed polyamide construction with 600D polyester reinforcements in impact and abrasion areas. These feature a Drystar waterproof breathable membrane bonded to the shell and a removable quilted thermal liner for cooler times of the year. There is CE rated Bio Armor in the knees with foam hip padding that can be upgraded to CE protection. The Bregenz pants also come with a removable suspender system, feature two external pockets, strategic elastication and a pre-curved and articulated leg design. Reflective piping graces both the Bregenz pants and Koln jacket and each garment exclusively uses YKK zippers throughout.